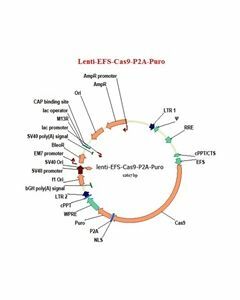 Cas9 Gene Editing | ARP American Research Products, Inc. 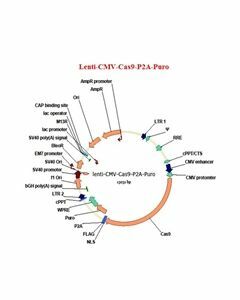 The CRISPR (clustered regularly interspaced short palindromic repeat) and related CRISPR associated cas proteins were first recognised in bacteria. 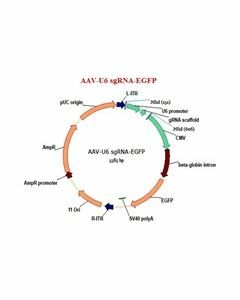 CRISPR/Cas systems provide bacteria with adaptive immunity against viruses and plasmids that have been encountered previously. Several CRISPR/Cas adaptive immune systems have been recognised. 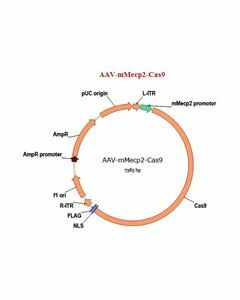 The revolutionary CRISPR/Cas9 genome editing technology is associated with the type II CRISPR/Cas adaptive immune system. 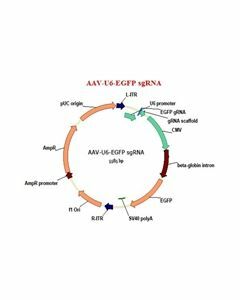 The CRISPR/Cas9 adaptive immune system relies on the CRISPR associated protein Cas9, which is an RNA guided DNA endonuclease. 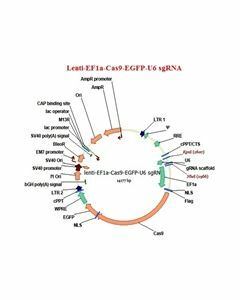 In prokaryotes, the CRISPR/Cas9 system provides protection by targeting foreign nucleic acids with short complementary single-stranded RNA that ‘guides’ the Cas9 nuclease to the target DNA sequence. 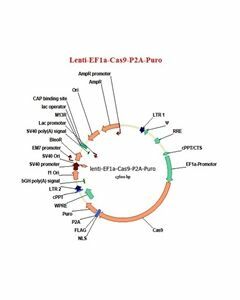 The Cas9 endonuclease introduces site-specific double-strand breaks within the genomic DNA, removing the foreign nucleic acids. 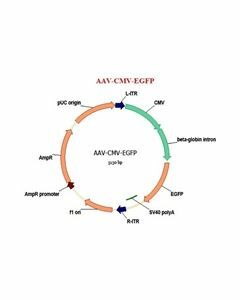 The breaks are subsequently repaired via cellular DNA repair pathways. 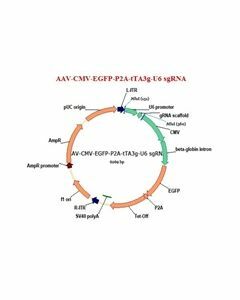 CRISPR/Cas9 technology is a simple, efficient tool that allows the introduction of double-stranded DNA breaks at specific sites in the genome, enabling modifications to be made at these sites. The applications of CRISPR/Cas9 technology are diverse. It has revolutionised genome editing revolutionised genome editing, allowing researchers to target, study and edit specific sequences of DNA in a wide variety of organism. 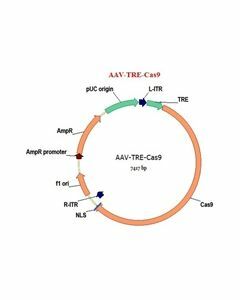 ARP offers a series of vectors with various options for promoters, markers and tags to express the Cas9 nuclease and gRNAs to meet the different requirements from customers. Target gene knockout and knockin sets are available for human, mouse, and rat genomes.